Boris Vallejo is a man who needs no introduction in the art world. His pieces can be found everywhere from posters to trading cards and everything in between. For decades, Vallejo has been one of the definitive fantasy/science fiction artists, bringing a level of realism to his work that few can match. Among his many classics are several covers for Sega and Accolade games. Star Control, Golden Axe II, and Phantasy Star IV all sport original Vallejo artwork, but it is for his three Ecco the Dolphin covers that Sega gamers know him best. He is practically synonymous with the cetacean star, and no one has ever captured Ecco’s charm and personality as he has. Sega-16 briefly spoke to Mr. Vallejo about his Sega artwork. Sega-16: How long does it usually take you to complete a particular piece? Boris Vallejo: Normally a painting takes five to six days to finish, provided that I can work at it at least eight hours a day, which almost never happens! Sega-16: How did you come to be contracted by Sega? How was the experience of working with them? Boris Vallejo: Well, they just called me. I enjoyed very much working with them. They gave me a lot of creative freedom. That’s always good. Sega-16: Were you ever contacted by other gaming companies, besides Sega and Accolade? Boris Vallejo: Sure, we do work for lots of companies. Sega-16: How familiar were you with the games before starting work on the covers? Boris Vallejo: Sure, I had heard of the games. Sega-16: Did you play any of them or did you work from pictures or sketches? Boris Vallejo: They sent me samples of the game as well as stills form it. They made my life quite easy! Sega-16: You’re famous for your ability to bring fantasy characters to life. Were video game characters any different? Boris Vallejo: No, why should they be? Sega-16: You did the covers for the three main Ecco games. What attracted you to the series? Boris Vallejo: It was more the choice of Sega. I am glad that they liked what I did well enough to trust me with more covers. 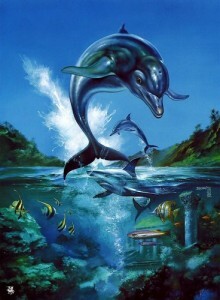 Sega-16: Your renditions of Ecco the Dolphin do an amazing job of capturing the essence of the character, and fans automatically associate you with him. Were there any other video games you would have liked to have done art for? Boris Vallejo: I am glad to hear that! I tend to enjoy what I do more than what I don’t. Sega-16: Would you ever consider doing game covers again? Boris Vallejo: Of course. We love what we do and we do what we love. The more the merrier. Sega-16: Is there anything you’d like to tell your Sega fans? Boris Vallejo: Have fun and enjoy life! We would like to thank Mr. Vallejo for taking the time to speak to us. 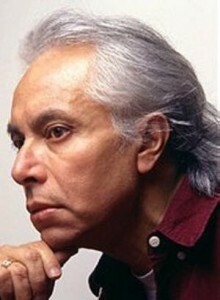 For more information on his work, visit his website.